The Celox team will be exhibiting at the 4th ICMM Pan European Congress on Military Medicine in Paris, France, 23-26 May 2016. This congress is organized by the french Surgeon General office under the aegis of the International Committee of Military Medicine and is located at the Ecole du Val de Grâce in the Centre of Paris. This congress is an excellent opportunity for meeting personnel employed in the field of Military Medical Health Care. The International Committee of Military Medicine (ICMM) is an international and intergovernmental organization that was created in 1921. Since then the ICMM missions have been to maintain and strengthen the bonds of professional collaboration between members of the Armed Forces Medical Services of all States. Organising international study sessions, both on a wide or sometimes restricted scale, on subjects of interest to military medicine, in particular international advanced courses for young officers of the Armed Forces Medical Services. The ICMM encourages, within its means and the operational framework, respect for and application of international humanitarian law, in particular by organizing or supporting courses on international humanitarian law applicable to armed conflicts, intended for members of the Armed Forces Medical Services. The ICMM also provides liaison with various international bodies concerned with the fate and protection of the wounded and sick of the Armed Forces. This year’s themes focus on military medical ethics and dilemmas, ethical problematics issues and international law in recents conflicts. Combat life survey “the golden hours”. Wounded in action : physical and mental rehabilitation. 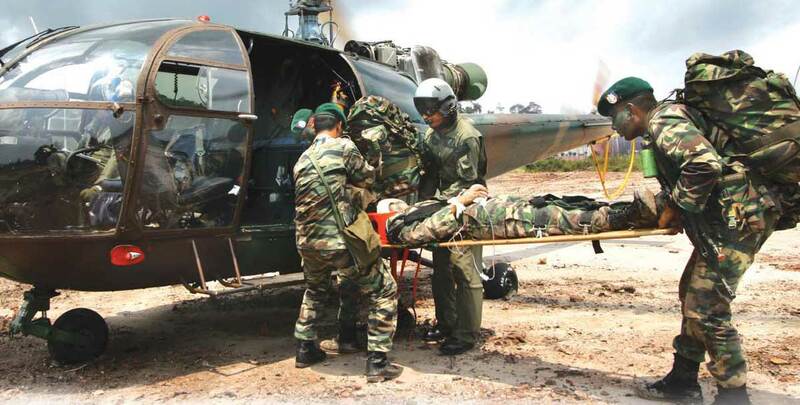 Mission and capacity of military medicine facing epidemics or disaster. A wide place will be made in communication and poster proposed by paramedics and nurses. To learn more about the ICMM and the 4th ICMM Pan European Congress, click here.